Team members Log in to your account > Select your webinar > Click "Access webinar room"
I can't enter the webinar room as a team member. Why? I can't start my webinar as a host. Why? The room keeps loading when I try to log in. What should I do? 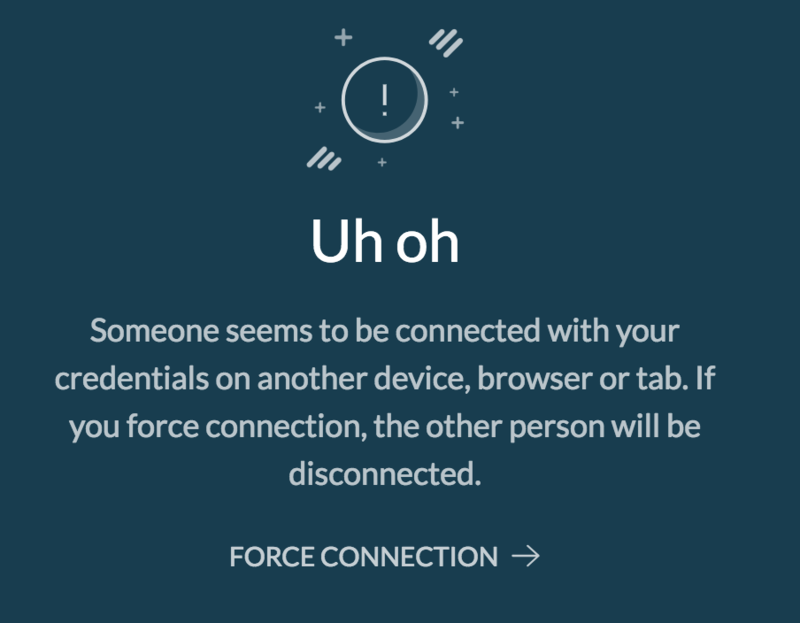 What does "force connection" mean? Bear in mind that only team members with a host role can access the webinar settings, and assign contributors to a webinar. So if you don't have rights to access the webinar settings page, please get in touch with your host so they can add you as a contributor. 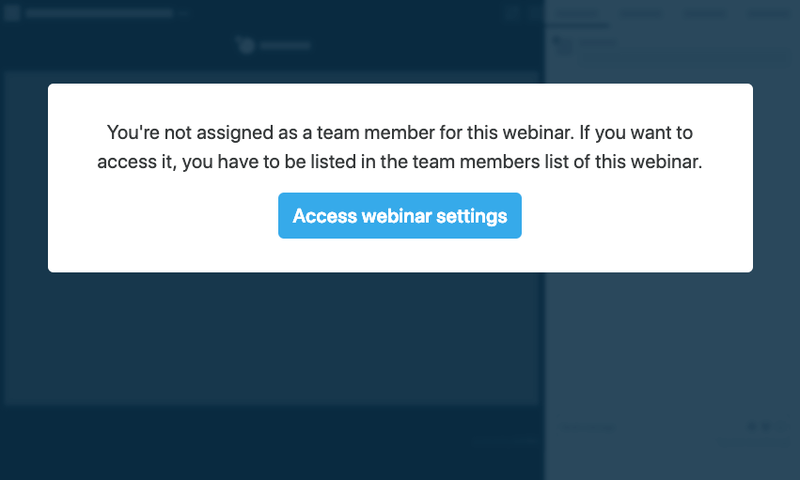 If you log in to your webinar room to start the webinar and don't see the "Start webinar" button (see below), it means that you are not connected to the webinar as a host. Remember, the team member with the "host" role is the only person able to start and end a webinar. Plus, as a host, you must access the webinar room via your Livestorm account. Check out our troubleshooting steps listed here: Trouble logging in? In this case you can always click " Force connection" and enter the webinar room. This will log out the last person / device connected to the webinar room through your account automatically. If you'd like to log in to the webinar room from the same computer with different accounts for testing, please make sure to open your second login by using the incognito mode (private window) of your browser. This way you won't get this message. The Room Doesn't Load. Why?